Many couples often go through stressful situations such as separation, due to little understanding between spouses or merely because they no longer love each other. For whatever reason, the relationship can end with an annulment of marriage. Not all romantic relationships end on good terms. So you should always keep in mind that from the moment you file for divorce, it will trigger a series of legal actions that you have to hear and resolve as soon as possible for you and your children’s benefit. You need the support and custody of their children, but you also need financial stability, which can be accomplished by dividing equitably all marital property acquired during the marriage. Gallardo Law Firm offers the best services with a high degree of quality and professionalism. Our attorneys have the certifications and experience needed to resolve your case promptly and efficiently and for your family to get the best results through property division after divorce. During the marriage, couples often jointly purchase multiple personal items, which are almost always purchased with the finances of the two regardless of their economic differences. These assets are to be shared equally between them after the divorce becomes official. 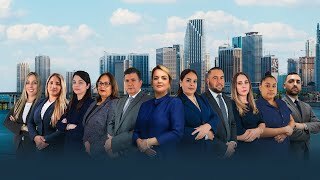 Many times, the Equitable Distribution Miami can be very easy to handle because the couple can decide for themselves how to divide the properties with the help of a family lawyer, who will submit the order to the judge through Gallardo Law Firm. We take care of all documentation needed for the properties to be legally distributed. This process takes place in a short period, and it becomes easier when couples handle the process amicably. In cases that involve couples with bad relationships, there is another way to process and divide material goods. Divorce lawyers are prepared to handle any situation. If the spouses cannot agree on how to divide property, then you have to present the case in the family court, and the judge will decide what to collect, and how to distribute assets equally from common property acquired during the marriage. We talk about equality because there are laws in the State of Florida that require the equal division of property after a divorce. In these cases, the couple understands it could take an incredibly long time and a lot of mental, emotional, and physical energy. Whatever the situation may be, our primary goal is to obtain the results desired by the client. Community property – This is the property acquired by couples, those that are specific to each spouse separately, whether they find it because your name is on the title or because it was inherited or given away at any given time. The judge grants the primary owner these assets without discussion. These do not fall within the distribution and otherwise are property and finances under both spouses’ names, which are what the judge rules as separation agreement and needs to be divided. In the State of Florida, the laws about the equitable division of assets after a divorce have to be followed. Equitable distribution – This is based on any assets acquired during the marriage, no matter whose name is the title on or how much money there is in an account. If it were acquired after marriage, it would be divided equitably by the judge. Only those gifts obtained or inherited separately are not divided, that is, each person has the right to keep these properties. Family law attorneys at Gallardo Law Firm always encourage their clients to claim those. Generally, equitable distribution of property involves precisely only those assets obtained during the marriage, as well as financial obligations you have at the time of the dissolution of marriage. If you signed a prenuptial agreement when you got married, then, according to Florida laws, there should be an equitable distribution of material goods. Everyone will receive what they were able to achieve through their work or earnings. Although there is a prenuptial agreement, property acquired before marriage or inherited properties or given as a present, is not divided. It is important to note that if these assets gained interest or yielded profit during the marriage, this revenue may also be shared equally. The process of equitable distribution of property occurs when one party comes to Gallardo Law Firm after the marriage has ended because they want the tangible property that rightfully belongs to them. Then, a divorce lawyer will investigate all data related to their property. First, they collect the information on all properties available to their clients, plus any hidden assets. If a spouse keeps assets or finances from the other person, then we calculate the monetary value of each property. If these have a high financial value, you could seek specialized advice for monetary cases, and submit all the required documentation in court with the help of an attorney. Then, the judge will determine which material goods belong to you or your ex-spouse. If that cannot be divided, then an economic value for the property is granted, and the assets are divided equally. All property, whether fixed and liquid assets, could contribute to the marital estate. The rights that each person may have concerning properties that are legally under their name. At the time of legal separation, the judge takes into account the monetary conditions of each partner. The various reasons that gave way to divorce and the division of assets. How long the marriage or relationship lasted? The efforts of one of the spouses to get those possessions. Currently, many couples are living together without the legal commitment. In these cases, the couple must be cautious about the goods to be purchased together while they are in a relationship. Under Florida law, when the relationship ends, there is no real separation. They are seen as individuals with no rights to each other’s property. So we have to decide when to claim some property, real estate or business they have together. We have to determine who has legal ownership of these assets if there was no division of property after death or separation. If at the time of acquiring the property, both parties agree on joint ownership, we can claim their rights on the property in case of a separation or death. So it is essential to define what percentage of the property you are entitled to receive when you or your partner ends the relationship. We make sure you don’t lose the property. If the other person dies and leaves a testament, you will not have problems in defining precisely the total amount that belongs to you. Who are the ideal candidates to establish a division of tangible property? All legally married couples that end their relationship have acquired common possessions that need to be distributed equally between the two after separation. If one spouse dies, what happens to the assets of the family? If the person who has died didn’t leave a testament explaining how their assets are divided, then everything will be handed over to the widow or widower. I live with my partner for more than ten years, and we never got married. But a year ago we bought a house, which is under my partner’s name. What happens to this property in the future? Are we going to face any problems if we get separated? Since the property is under one person’s name, you have no right over that house, but you could prove that you contributed to the purchase of the property, the monthly payments to the bank and the house’s maintenance, so as to begin a legal battle for equitable division of property in Miami, Florida. During my marriage, I spent most of the time alone in the house taking care of the children while my husband had the opportunity to excel professionally and get a good job. What happens with the distribution of marital assets in case we split up? Under Family laws in Florida, every married couple has the right to divide their assets equally. But in your particular case, the judge would make an exception, since it can be proved that your spouse is well financially thanks to your work and efforts when you spent so much time at home taking care of the children; and were unable to advance your career or find a good job to keep you financially stable in case a separation occurs. Will I stay with the house if I have permanent custody of our children? The most important thing is the welfare of your children. If you live together with the kids, and the judge ruled that you have permanent custody of the children, then the house could be yours. It’s not advisable to take your children out of their natural environment, and change schools where they already feel comfortable. But you must decide with the Equal Housing Fund of Florida how you can pay your spouse the part of the house that belongs to them. What happens if I sign a prenup before marriage? With the prenuptial agreement, you are not entitled to the assets obtained during the marriage, in case of separation. Therefore, we recommend that if you sign a prenuptial agreement, then you are careful with the possessions acquired that are not legally under your name. Who are the ideal candidates to establish a prenuptial agreement? Prenuptial agreements are established by people who need to ensure the preservation of all their assets in the event of a separation. If I get separated, will I have equal housing opportunity? Yes, of course, if you are legally married, after a separation, you have the right to request the equal division of any real estate that includes everything that you accumulated during that time, including the division of mobile homes.